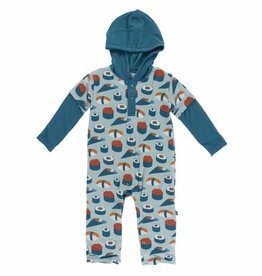 Your little guy will love romping around town in our Hoodie Romper! 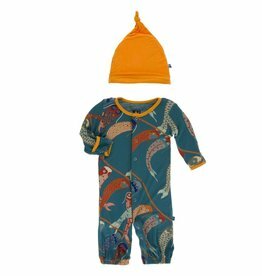 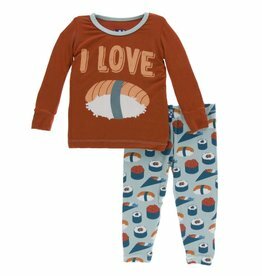 An easy all in one outfit that will have him dressed in no time and ready for fun! Our sweet Footie features flip paws to cover cold hands and prevent scratching. 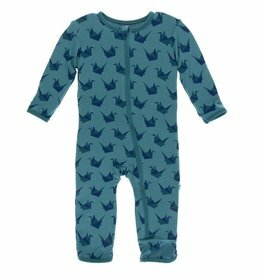 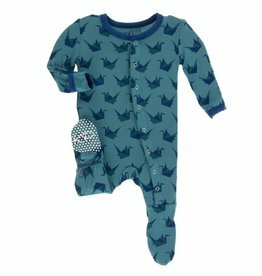 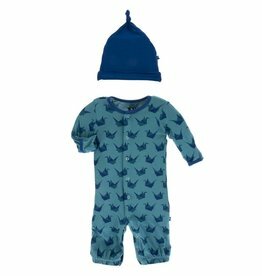 Zip your little peanut into the snuggly cuddly goodness of our adorable Fitted Coverall. 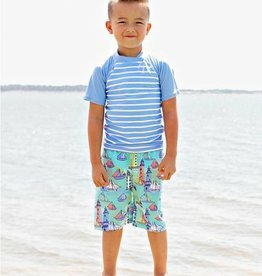 Your little guy will love the colorful shark print on this pair of swim trunks. 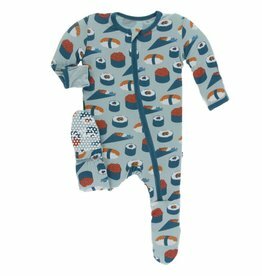 Created to mix and match with your favorite rash guards, this swimsuit is the perfect addition for any trip to the beach, lake or pool. 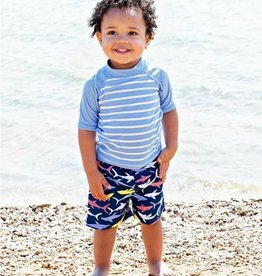 Keep your little dude safe from the sun with this short sleeve rash guard top that features UPF 50+ protection. 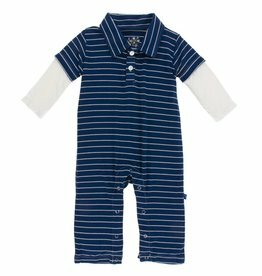 The adorable cornflower blue stripes are fun to mix and match with your favorite RuggedButts swim trunks for a complete vacation-ready outfit. 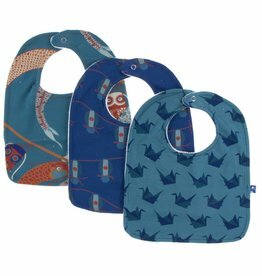 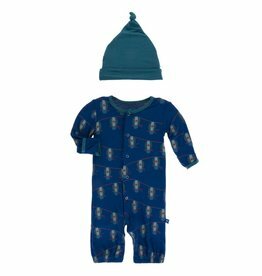 Babies grow, so our blankets should too! 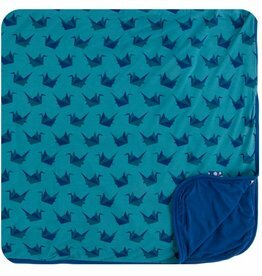 Made from the same silky-soft fabric as our baby collection, this blanket is sized just right for big kids. 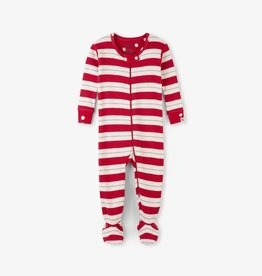 Great for the transition from crib to bed. 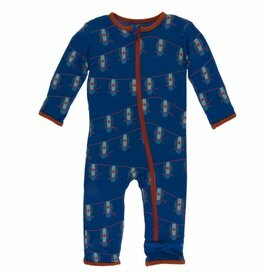 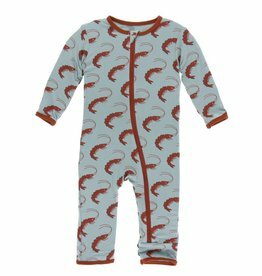 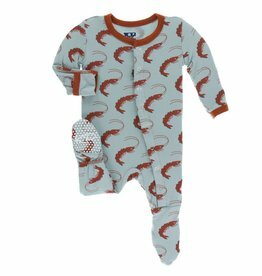 Your little dreamer will stay nice and snug all night in this metallic stripe all-over print footed coverall. 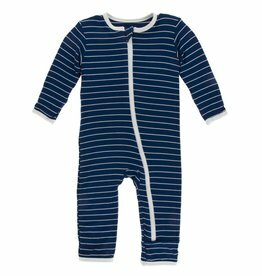 With grippy soles to steady her first steps, and a full-length zipper for easy dressing, you'll both love this pajama! 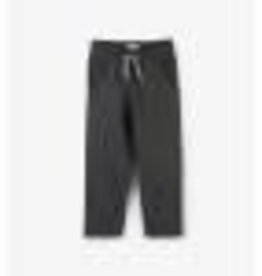 From casual in the classroom to comfortable on the playground, and cozy at home; these fleece track pants are made for all-day adventures and all-day comfort.